Afternoon folks! 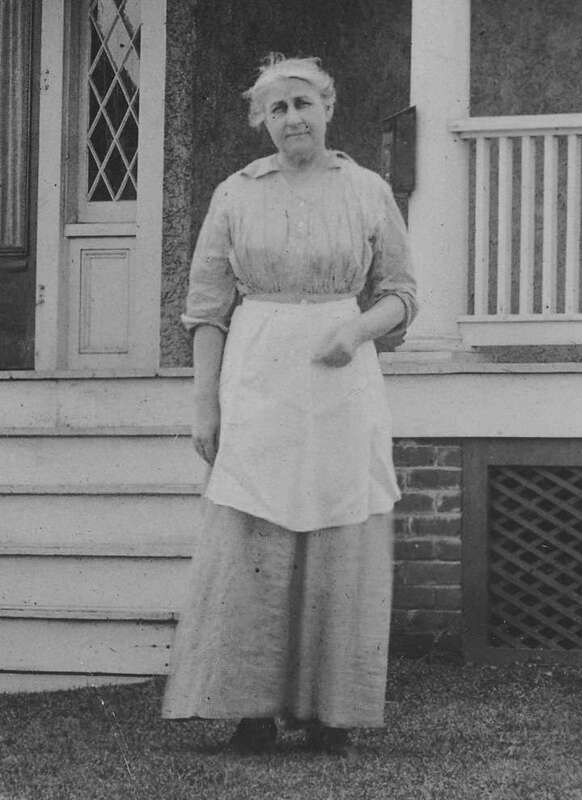 Today’s old house photo says “Grandma Diers About 1916” on the back. No other info on where. She looks like the kind of Grandma I’d want though, bake you cookies while telling you to mind your manners. *And* she lived in a very nice house, to boot! She looks like she’s got a story to tell and I wanna hear it. The crown of glory is behind her. She looks like no fool and bet she has a sense of humor. Hope she has company in that good-sized house, so nicely kept. She looks like old photos of my great-aunts, whom I never met. You’re right, Kelly — she’s got cookies or a pie in the oven! Good call and a fine house! Shown on maps in 1860 and 1873 as the residence of Samuel Goodwin (1799-1876), a merchant born and buried in Maine. Family info on Ancestry says the house was built in the 1840’s. I see two old family photos of the house there. 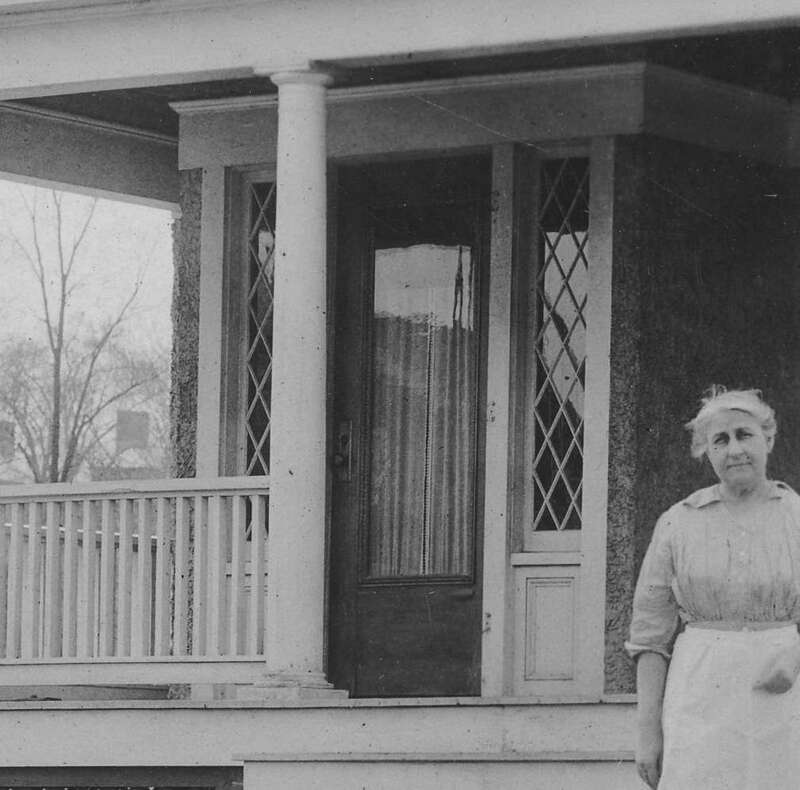 The first is a view from the street in 1875 with Mr. Goodwin and his grandson on the porch. An ornate iron fence with gate runs along the sidewalk. 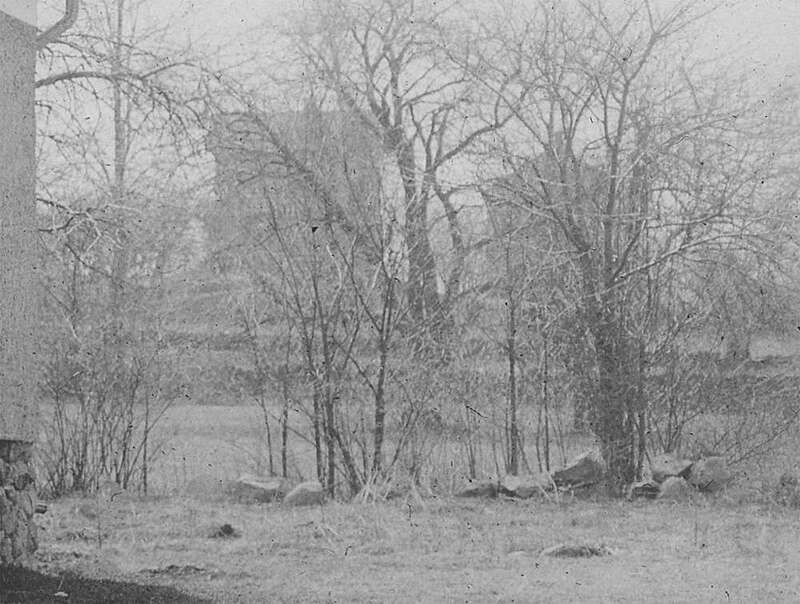 The 2nd photo is in the parlor about 1900, with Goodwin’s daughter and granddaughter sitting by the fireplace shown in the HABS shot. The room had a columned entry which has been lost. A portrait over the mantel is of Ichabod Goodwin, Samuel’s brother who had been Governor of New Hampshire – the same portrait and frame are in the Goodwin Mansion at Portsmouth NH now. Some cool history there! What a lovely house! There is so much to love about that house, and it’s in good condition! Why is it so cheap? Is there a fracking well next door? The interior is very nice, and the exterior is very pretty, and the yard looks OK too. Is it a very depressed area? So sad because the house has many nice details. This one is actually located in Pine Meadow, CT. It’s a few doors down from me. I would love to see someone who loves old home fix this old house up. The house was on 1873 maps for the area. I believe a house joiner lived in the house originally. Portland, Oregon $400,000. Built 1909. What an unusual chimney! This could be a real beauty. Love the greenhouse out back too. I wonder if the house is stucco under a later siding judging by the chimney and the porch posts. I would like to meet the art collector in the first house, love the exterior in the second, and also like the yellow kitchen in the third as you do. Here are listings for houses for sale in Auckland, New Zealand’s biggest city. Julie, thank you for your offerings. I enjoy your take on your country. 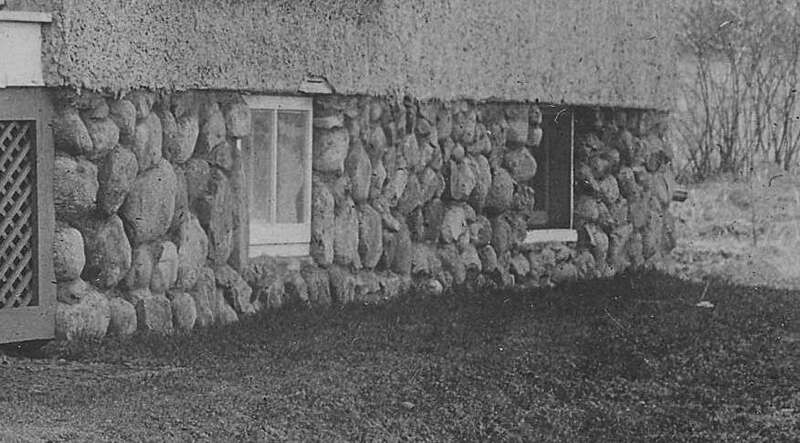 I would have thought the first house, Craigmore, would have followed thru indoors with more of the decoration seen on the exterior. Some of the public spaces do offer that, but others are simpler. All being said, quite a structure. Thank you. Thank you. I am originally from the States and actually prefer the old American houses. That first house is amazing. Wish I knew the year built or the price. It has a valuation of $8,200,000 but because of it’s location and ability to be subdivided it will go for more than that – probably several million more. I need some new next-door neighbors, who is up for a great project on Doctors Row? Poor thing, needs a stiff upper lip to move in. It’s got good bones and looks like a very nice street. This 1973 Tyler, TX home for $179,000 is a little different from what I normally see here (has DEFINITELY been painted… you’ll see), but it is a unique old house that’s being sold by musicians from bands that I love. Thought folks might find it interesting. I hope whoever buys it appreciates the quirks and leaves them. LOVE that it has been painted pink! The Tyler house is absolutely charming. I wouldn’t have made those decorating decisions, and now that I see them…I wouldn’t change a thing! Wonderful. I love what they have created. These are happy folks. Hi, everyone! Hoping everyone in the vicinity of Florence is dry and safe. Wow I love how the 1913 remodel of the second house created something that, though a mash-up, still works nicely. The first house is really beautiful. Really love the home on Alford. Perfect! 1817 Georgian. Stirling, Ontario, Canada. Appreciate the measures that are taken to same an old house. Having a hard time with my phone, appologies. Appreciate the measures taken to save an old home. Love that it has been moved to a decent size piece of land. Lovely home – dreamy. But is it just me or is there a stovetop? Don’t get me wrong, I love the hearth and can make a great hearth meal…. but having a way to cook in a more modern metho, too, would be helpful. Looks lik there’s a Microwave & oven combo in the hall to the dining room, but I’m just curious about the cooking ability in the kitchen. I have a random question I think you all will have some insight on, so I’d like your opinions. A) I adore historic homes B) I will likely never own a historic home C) My home (owned) is new, entirely lacking in character, looks like every house on the block, beige, construction. I often read things about keeping the interior decor/design of your home appropriate to the time period and character of your home. I feel like the character of my home is beige and builders grade. Would it be a “home sin” to add in character elements that are what you would find in an older home? Thinking of replacing the doors, but I’m worried that it won’t match the trim throughout the entire house. Is someone going to walk into this new house and be like, “why are the door knobs glass?” Or I was thinking of adding lincrusta wainscotting, but that’s completely not normal in houses now a days. First of all it’s your house so feel free to experiment. I’ve seen examples of old materials brought into new construction quite successfully. I think the trick is to not try to create and entirely retro house out of a new one, but to bring in a few salvaged elements that will stand out and look like works of art in and of themselves. Maybe a really nice old mantel or a pediment or a couple salvaged columns, etc. A really cool eclectic environment can be created by juxtaposing antique elements and furniture with contemporary construction. Think of contemporary white walls and hard wood floors furnished with an eclectic mix of old and new furniture upholstered in contemporary fabrics, set off by a salvaged architectural element. Could be cool! My uncle, an architect, built/designed his own place, a solar modern house back in the 70’s. The house is filled with relics from past times. Coming off of the solarium, leaded glass floor to ceiling windows, upstairs, an angel stained glass window, floor to ceiling, providing additional light to a North facing bedroom. Those who know the Woodstock Handmade houses will understand, the above house tho is not so rustic, just an example adding old to new. If you posted some pics of your interior trim or exterior areas, I’m sure a lot of people would have ideas, and you’d then go down the rabbit hole of spending hours finding all sorts of great things online! I LOVE seeing older-style elements in new construction. I think five-panel doors would really give a new house an other-period feeling (five-panel, not five-panel horizontal). Shutters. Exterior pillars, interior colonnades. Cozy wall paneling for lower part of foyer (the old, old stuff in colonial homes). Cabinet hardware. Beadboard backsplash (though I’m not a fan of the backsplash trend). Feel free to send pics, I’ll add in morning or afternoon. I have wondered the same thing. I live in a 1950’s ranch but am in love with the late 1800’s. I have a few pieces of furniture from late 1800’s and a few antiques from the period in my home. It works for me. Not too worried about what anyone else thinks. All the above suggestions are great. 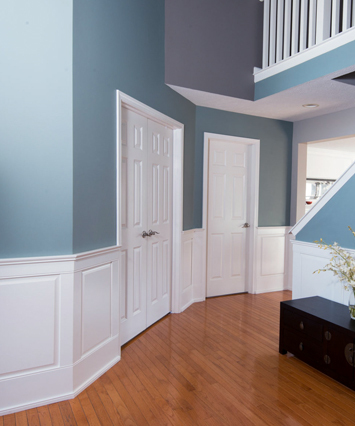 Even putting in crown molding makes a difference. 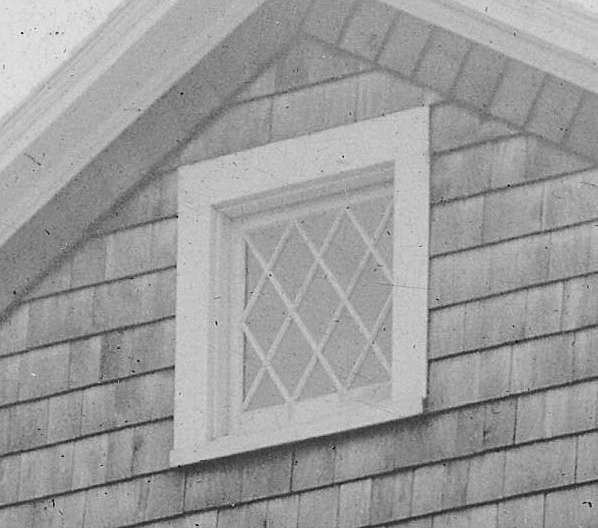 There are tons of blogs online about adding style and/or history to new(ish) houses. Furnishings can do a lot too, from rugs to period-appropriate curtains to stencils or wallpaper. You can do a little at a time & see how you like it, then try something else. Sounds like fun! Jessica I remember there was a house posted here in OHD a while ago that was from the 1900s but the owners fixed up the inside to be from the 1700s, I personally loved what they did! I would post it here if I could remember where it was. This one, just back on the market at a lower price. For the old timers on the blog “Balloon Farm” in Frankfort NY is back on the market reduced to $129,900. How can I email / post pictures? The doors would really depend on what’s available. There is an architectural salvage place here with 700 doors that I’m going to scope out. From the pictures, it looks like the 5 panel horizontal and simple two panel shaker styles are the most common. Maybe something more unique for the pantry door, but all the others need to match. All sanded down and stained a dark walnut color. Trim is all white (my house didn’t survive the great white out lol) but the floors are a dark wood too. Other than that, I was thinking of bead board ceilings in the spare bath, wainscotting down the hallway near the entry and maybe the dining room too, and antique knobs on the kitchen cabinets (which will also be walnut stain). Would an antique light fixture be taking it too far? I am worried about a jumbled look. Email them to me, kelly@oldhousedreams.com and I’ll upload to comments. Is it a requirement to used salvaged materials? I would think new doors would be a much quicker option, but I have no idea what new or used even cost anymore. A four-panel door might give you a colonial look (also, it depends what time-period you are most wanting?). You could add an extra inch or two of wider plain trim on what you already have around the doors and possibly the baseboards. It gives it a beefier look. Antique lighting would be cool! Could do something very simple or even chandelier/s would look good with the white. I’d try to get everything to match the era you want to avoid the mishmash/hodgepodge jumbled look. I am building a new house because there are no affordable old houses here in Austin. 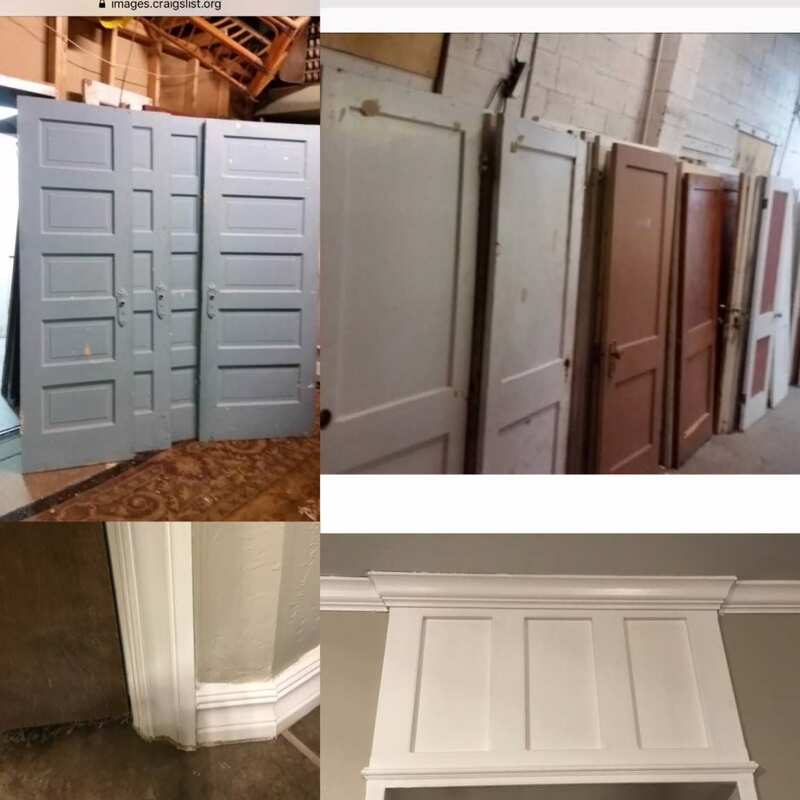 To achieve some of the old world charm, we will have the five panel doors similar to your pix as well as wider door molding and high baseboards, all white. At the same time, it will look contemporary. I think with a mixture of antiques and modern furnishings we will end up with a cozy home. So, Jessica, I say go for it! It’s your home. P.S. I like your idea of the glass doorknobs. Adding more trim is an awesome suggestion, thank you for that. Salvaged isn’t a requirement, although preferred, but it’s waaaaay less expensive. Those doors are $35 each and solid wood. New solid wood doors are very expensive and you never realize how many doors your house has until you want to replace them! Lol. A little elbow grease would go a long way for saving a lot of cash. I also like the idea of “saving” something and giving it glory again. Even if it’s just a door, haha. Since you want stained doors, I’d try to find non-painted ones when you go to that store. You said you have many doors—that’s many doors to sand, strip, fix, etc. Just a head’s up. But I’m sure many here would have more advice/input on that. Personally I don’t think wood ever looks right after it’s stripped. And oftentimes wood has been painted since “new”—they used a cheaper wood which doesn’t look as good stained (though would look great compared to today’s “stuff”!). Those two-panel doors you showed might be veneered and not really able to stand up to sanding? You sound more energetic than I, so I don’t mean in any way to stop you from doing what YOU want!!! I get the indecisive part. Maybe just first do what you know you absolutely want…different kitchen hardware, beadboard in certain areas, etc. Edit to add- I have no clue what time period I want, which I think is my problem. I love it all. I’m also not knowledgeable enough to look at different stuff and identify it as colonial, Victorian, shaker, Dutch, etc. I look at it and see solid wood (yay) and old (yay). That’s about it. Wrong link. This house is not in Memphis. That’s a beautiful house. I wish they’d kept more of the old. I love the third floor bathroom with its original subway tile and pedestal sink. Wish the other bathrooms hadn’t been modernized. The kitchen is pretty, but so what? The French doors, built-in bookcases, linen closet on third floor, the floors, the moldings, the staircase…all the original details are what make this house spectacular. Sigh. Those CT taxes are a killer: $13.5K Yikes! Does anyone know what became of a link to a Cherryfield Me.listing for a revival Cape on three acres for 119,000? Was this a posted home or shared by someone in a link exchange? I am from CT and still have dear friends there. They have told me that the prices of homes have gone down (accept in places like Darian and Greenwhich) because the taxes are so high. People just don’t want to pay those taxes. Never mind that they keep going up and then anything you do to improve your home makes your taxes go up even more. I have been in this house and it is lovely. The mantles and baseboards are awesome. It has been empty a long time. I hope someone rescues it! It has been reduced since I looked at it over 5 years ago. What a beautiful house! It would cost a lot to make it inhabitable, I imagine. It appears to have no heat, no gas, no working plumbing or kitchen. I don’t know why anyone would pay that for a piece of land in a very rural location. Is the land farmed? I suppose it produces income. But the house is really magnificent. It cries out to be saved. Has anyone seen it recently? It looked OK five years ago when the video was made, but if it’s been uninhabited for all those years, I shudder to think what state of deterioration it’s arrived at now. What a shame! It is such a saveable and worthy beauty of a house. A real dream! Closer to 1810, and one of my favorite OHD houses – John W. Leatherbury’s Prospect Hill. Thanks for the OHD reference JimH. I ran a search on the town name to see if it had been posted before but nothing came up. Guess I’m just not good at searching as I obviously ddin’t find it. What is worse is that I commented on that post several times and don’t even remember it. Oh well, at least I didn’t argue about starfish! I think. Thanks, I’m very glad you posted it – a forgotten beauty and it’s a sad thing that it’s been vacant so long. The Eastern Shore is quite amazing for its history and old places, and this place would be ideal for me if I were looking for a “country seat” to fix up and pass on to my grandchildren. Interesting 1939 Colonial revival near me in Nashville for $699K. Features a lovely sunken living room, dining room with corner fireplace, and paneled den. This would be a great home to buff and shine. How I love those sunlit, expansive 1930s colonial revivals. I agree. Needs some TLC, but has a bunch of good features. A cool 1940 Ranch in Metter GA for $187,500. Ranch homes were in their infancy during this time as architects were trying to meet the demand for more casual living sans servants. This house has some great original features and one unfortunate bathroom update. I love the tiled roof and am intrigued by the art moderne mantel in the living room. A few weeks ago I shared OldHouseOilPaintDreams. 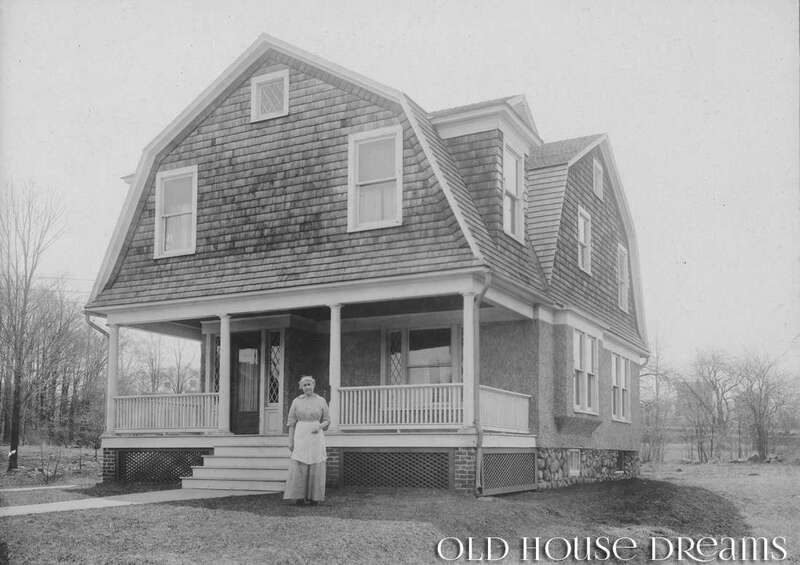 This week, in the spirit of fun and frivolity, it’s OldDollHouseDreams. My inspiration was Murphy Auctions in Denver, PA is hosting several toy auctions in October, but a couple are from other auctions, too. BTW, don’t think their diminutive size has a diminutive price – some of these are pricy! Wow, these are gorgeous! My favorite…ugh, the first “Georgian” one is pretty freaking amazing but the “Lovely unpainted woodwork…” is a thing of beauty too. Cool, I enjoy the “other” on the link exchanges too. Thank you for putting up the doll houses! I LOVE them. Love anything miniature. There are quite a few blogs by people who make doll houses — many do the building, decorating, and making of household items themselves. They take courses in subjects like How to Make Tiny Pottery Dishes or How to Make Miniature 19th-century Curtains — an astonishing variety of possibilities. The precision of their work is an education in itself. Anything from American houses of all styles to Dutch, English, even Thai or Japanese. I would absolutely adore to start that myself — but know I’d become obsessed, and it is, as you mentioned, a VERY expensive hobby. I’m sure I’d break the bank, have to sell my big house and live in the teeny one. You could do what I have thought of doing: As a weaver, I’d love to weave reproduction 17th and 18 century coverlets, but I don’t have a loom big enough (nor a house big enough to put one in!) so I have been contemplating weaving miniature coverlets and rag rugs. The thought of tiny rag rugs really appeals to me for some reason. The coverlets are a whole ‘nother story: In miniature, the weaving is done with fine thread. And with miniatures, you can pick anything that appeals to you from any time period. Pottery, paintings, cabinetry, hardware, plumbing, lumber, wallpaper, furniture, literally anything that goes in a house! I’ve seen videos of people doing those tiny things. What terrific projects! I wish I were skilled enough to join them. Perhaps I put the wrong link…. Chris, that’s the cutest thing I ever saw!!! Tons of fun watching! Cute and addictive. Glad you enjoyed it. 😀 She makes the cutest tiny cakes in her tiny kitchen. For you, ChrisICU, and anyone else… If you’re ever in London, take the bus out to Windsor Castle, & make sure to see Queen Mary’s dollhouse, made for Queen Mary when she was a child. It is truly incredible; the detail is amazing. The faucets work, real alcohol in the wine cellar’s bottles, etc, etc. The scale is so perfect that photos of each room look like a real house (well, palace). PBS Masterpiece has a new series called The Miniaturist. It’s Masterpiece so of course it’s wonderful (not Downton Abbey, but what is?) Very intriguing and one of the central characters is actually a dollhouse! But beware, this is NOT a child’s program!!! I hadn’t heard of The Miniaturist but it’s my kind of show and will definitely check it out. I’ve been watching “The Miniaturist”… a plot with surprises, and I have no idea where it’s going or how it’s going to end up for the various characters! I am inspired by this house and feel not all of the updates are simpatico with the origins, but do love what is left all the same. That would be a fun home to decorate in MCM/Atomic decor. Is a nice house, but the higher price is more about the location and schools. Is in Bucks county, a desirable area west of Philly. Lovely, I am glad you shared this one! Nice, very nice! I esp. like the fp’s with their deep hearths, and most esp. the zigzaggy high-contrast brickwork of that one fp. Wonderful stone house. That crazy staging really detracts from the beautiful original details. I love the kitchen cabinets! They look odd juxtaposed with that huge Viking range, but they fit with the rest of the house. I hope someone buys it who appreciates its historic charm and original details. The modern furniture is inappropriate and jarring. 1910. One of the most beautiful Tudors I’ve found. It’s beautiful! And… the long flower-box works well for giving a pop of color to the façade. I think this one will be snapped up fast. 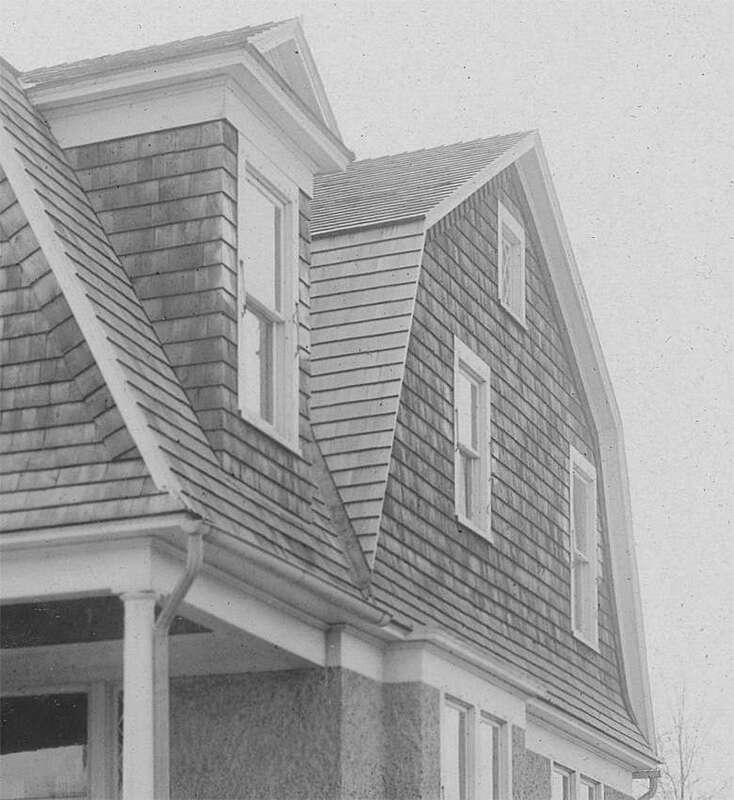 Even the “before” photos gave hope and inspiration for a cozy, adorable home. A surprisingly early house in this Worcester Massachusetts neighborhood. Only one photo, and I suspect there is little original fabric left as it has been a multi-family. If this were in a better setting it would be so different. It does make you think about how rural this area was when first settled. I’ d like to imagine, or get the history. Thanks for your response to my query regarding the Cheryfield Me.cape,with three acres. I’m not sure,but I think it might have been a shared link in the Sept.7th Friday Shared. What mystified me is that whenI attempted to look for it again it had vanished! I searched every site I know of besides yours,to no avail. I’m not seeing any comments that shared a $119k home in Cherryfield. It’s not something I would have deleted. It’s possible it’s a comment that the commenter did not leave the city name, those comments are not searchable for me. A nice size turn of the last century Victorian in Terre Haute, Indiana, for just under $30K: https://www.zillow.com/homedetails/1443-Chestnut-St-Terre-Haute-IN-47807/77125199_zpid/?fullpage=true Seems to have most of its original details inside but it needs TLC to bring back its original look. 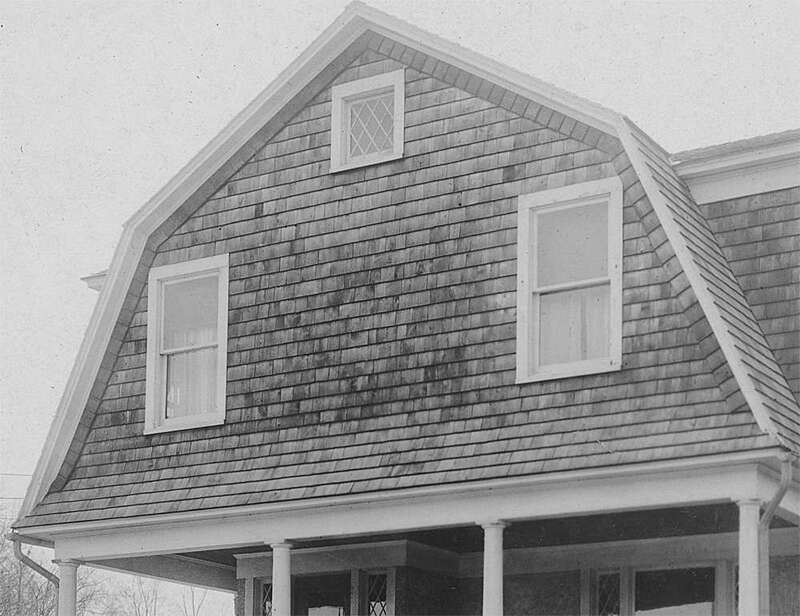 Streetview: https://goo.gl/maps/haLEihDwGsK2 Note the ornamental gable vent which appears to be original. Thanks for looking. Perhaps I just dreamed the house. Another Philly beauty by the Hewitt brothers. Some great details there, also some awkward apartment spaces and slick updates. Looks like is $899K. Seems like a pretty good price for such a quality, well maintained house, even if it has been broken up into apartments. Maybe not easily convertible back to a single house by rental or planning restrictions? Looks like it was converted with relatively minimal permanent critical damage. Somebody seems to at least have tried not to completely butcher it up when it was done, as often seems to be the case. This beautiful old home, built from 1862 to 1864 by Joshua Richardson in Iowa Falls is full of character!Richardson moved to Iowa Falls in 1860 and operated a saw-mill.Much of the hand cut hickory,butternut,walnut and oak was sawed in his own mill. This home is truly a “must see” by old home lovers! Contact Renaud Realty to schedule your own private showing at 641-648-4040 today! Lucky you to have grown up in such a magnificent house. I don’t know where to begin with all the things I love about it! The stained glass, the unpainted woodwork, all those fabulous fireplaces, the curved walls, the staircase — in my area that house would cost well over a million dollars! It makes me weep!